3000 US locations and no closing time mean most of your excuses are useless. Tired in the morning? Frustrated with traffic? 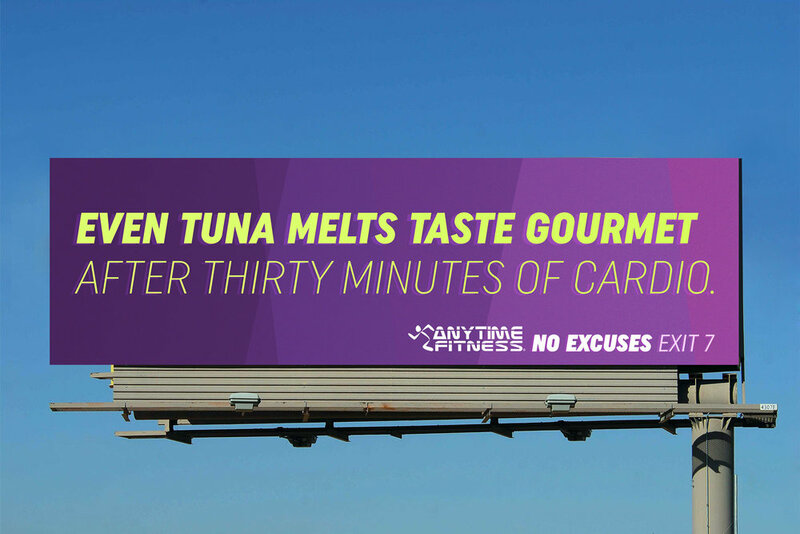 This billboard deals with excuses at any time of day. Get off the web and get in to the weight room.